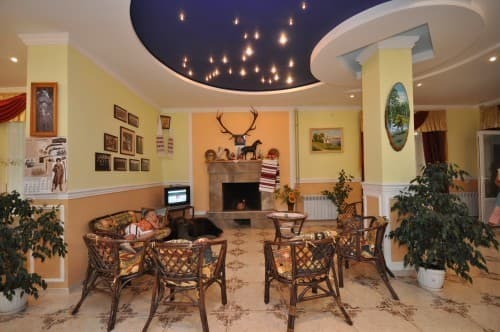 Guest house "Visiting Esaul" is located in the resort center of the southeast of the city of Sudak, 800 meters from the sea. The Cossack house offers a wide range of services for a complete rest. 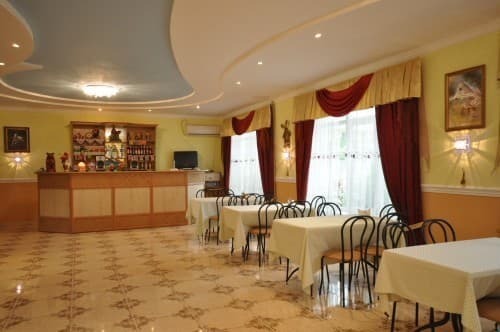 Holidaymakers are provided with comfortable rooms equipped according to European standards. There is a summer playground and a private cafe where the customers will be offered a wide choice of dishes on the menu. 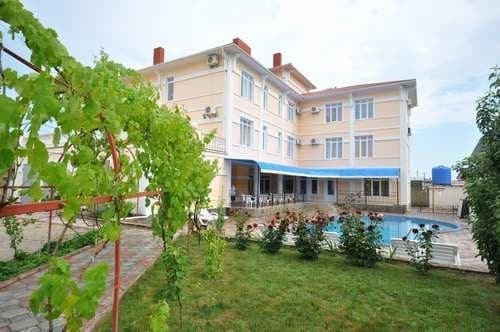 On the territory of the guest house "Visiting Esaul" there is a swimming pool, guests are provided with sun beds for rest. Those wishing to improve their health are invited to visit the sauna. There is also a conference hall for 45 seats (works in the off-season) and a guarded parking lot in the yard. There is Wi-Fi throughout the hotel. PRICES MAY CHANGE, IT IS REQUIRED TO RECEIVE INFORMATION FROM THE OPERATOR. Description of the room: Cozy mansard room with an average area of ​​15-18 sq. M. The room has all the necessary attributes for a comfortable stay. Description of the room: A cozy room with an average area of ​​16-19 sq. M. In the room, all the necessary attributes for a comfortable stay: a double or single beds, bedside table, sofa, coffee table. 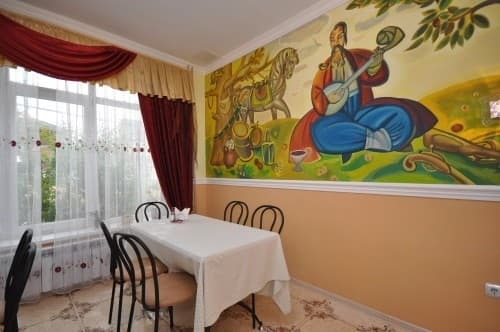 Description of the room: Cozy room average area of ​​16-19 sq. M with all the necessary attributes for a comfortable stay: a double bed, a sofa, a coffee table, a bedside table. Description of the room: A cozy 1-room room with an average area of ​​24 sq. M. The room is equipped with everything necessary for comfortable living: a double bed, bedside tables, a coffee table, a sofa. Description of the room: A spacious 2-room apartment with an average area of ​​45-50 sq. M. The room is equipped with everything necessary for comfortable living: in the bedroom there is a double bed, a wardrobe, a mirror, a living room - a sofa, a coffee table, a TV. There is access to the balcony. Accommodation of the third person on an additional place - 100 UAH / day, the 4th person - 50 UAH / day is indicated in June / September. Accommodation of the third person on an additional place - 120 UAH / day, the 4th person - 50 UAH / day is indicated in July / August. 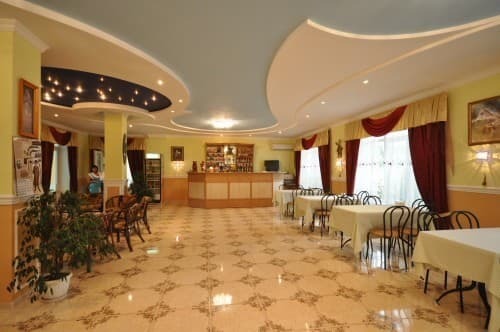 Guest house "Visiting Esaul" is located in the resort center of the southeast of the city of Sudak. To the sea and water park - 800 meters (10-15 minutes walk).